Fredy Peccerelli. Photo Skylight Pictures. Fredy Peccerelli – Guatemala’s foremost forensic anthropologist and longtime partner of the National Security Archive’s Guatemala Documentation Project – is profiled in The New York Times Sunday Magazine in an article that will run on Sunday, July 3. “The Secrets in Guatemala’s Bones,” by Maggie Jones, traces the arc of Fredy’s early training in the art of forensic anthropology by some of the greats in the field – including the late Clyde Snow, and Karen Ramey Burns – to his extraordinary work as director of the Guatemalan Forensic Anthropology Foundation (FAFG). Under Fredy’s leadership, FAFG has located and exhumed thousands of bodies of the victims of Guatemala’s 36-year conflict, bringing closure and consolation to families of the massacred and disappeared, as well as vital evidence of human rights crimes to courtrooms. 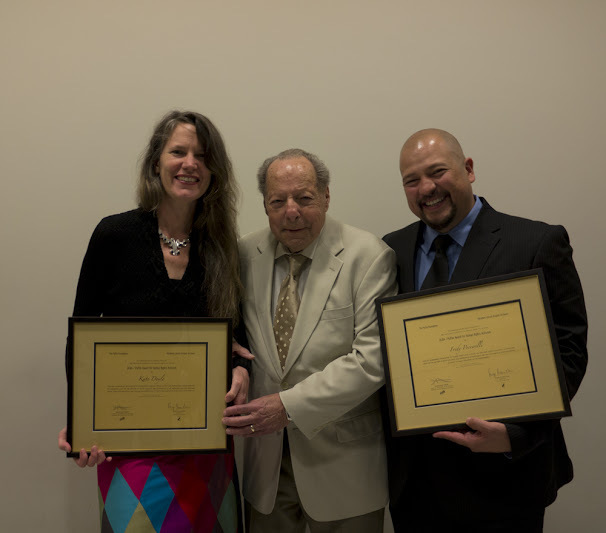 Kate Doyle, Perry Rosenstein, and Fredy Peccerelli. Photo Richard Bermack. 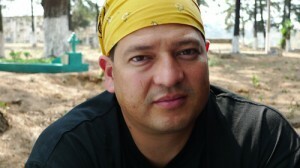 In 2012, Fredy Peccerelli and the Archive’s Kate Doyle were jointly awarded the ALBA / Puffin Foundation Award for Human Rights Activism in recognition of their shared work in Guatemala.